A world traveler and former missionary based in Pennsylvania (and shooting weddings worldwide), Kate’s artistic talents are visibly informed by her love for and understanding of encounter: a desire to truly see and acknowledge each person, made in the Father’s image. 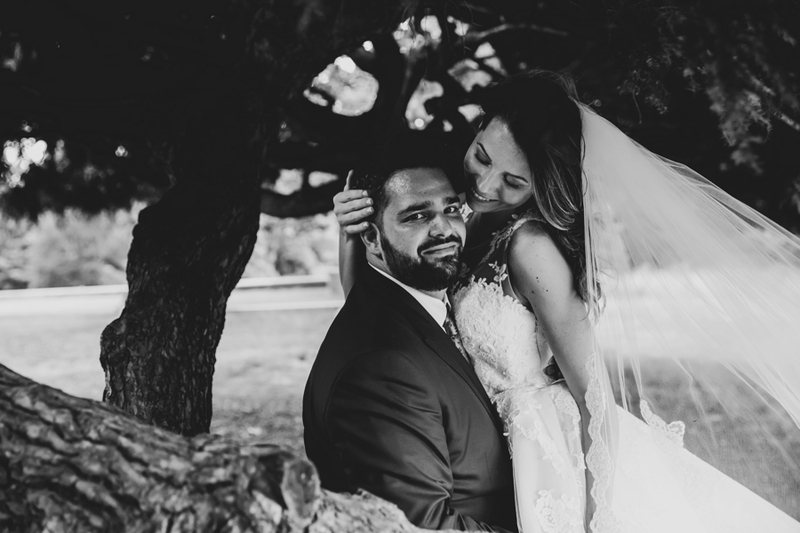 With wedding photography in particular, Kate deeply values getting to know her clients’ relationship and personalities, the better to capture their story on their wedding day. From Kate: Due to my experience with mission work and passion for the faith, I have a comfortability with people and a deep awareness of the Sacredness. Many folks say they are very grateful for the reverence I show during a wedding ceremony, though for me it is something very normal to who I am. I also love getting couples to be themselves so will do my very best to learn about their relationship that it may blossom and show. What inspires your work? 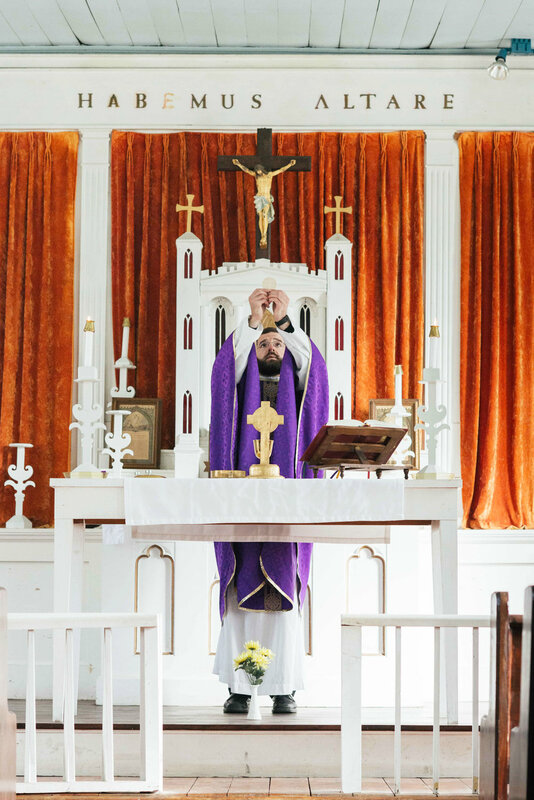 How does your Catholic faith play a role in your business? As a professional sacred art painter, I am inspired to create painterly images with meaning in photographs as well. I look for key spiritual moments, even if just simple, and do my best to show them off, as there are so many aspects to life that speak of God’s goodness. Favorite devotions: Our Lady of Guadalupe and Saint John Paul II, both artists and lovers of beauty. JPII plays a special role in my work due to his teaching on Theology of the Body and his love of the arts. Our Lady of Guadalupe is quite present in my life as well, a mother of the Americas and an artist in so many ways. Not to mention a witness of profound love and openness. I could go on all day about the two of them. My favorite thing about working on weddings: I love seeing the bride and groom in this moment of great joy. It is a blessing to get a front row seat and see how the Holy Spirit moves in their lives. 3 things on my bucket list: Sky dive, ride an elephant, travel to and paint in many different countries! Favorite place I’ve traveled: Cinque Terra, Italy. It is a beautiful hiking experience that overlooks the sea and brings you into the cute, tiny Italian villages. Every step is breathtaking, not to mention the wine is phenomenal. Love means: to will the good of the other. Each of us is a pilgrim on a journey, bound for the same return home: heaven. Yet before meeting the Father face to face, every earthly journey looks different. Brittney Valdez, a photographer and artist based in San Francisco (and serving California, Chicago, Michigan, Nashville, New York, Miami, San Antonio, and London), has walked the path of adventure herself and cherishes the privilege of journeying with her clients throughout their vocations, offering engagement, maternity, and family photography on digital or film. A week into her recovery, Brit picked up a Magnificat missal and began daily morning prayers, desperately asking for the strength, courage and trust to be put on a path to live every day like it was her absolute last. The Lord wouldn’t leave her wanting. In Brit’s words: Shortly after, I accepted a job at Google working in business partnerships in San Francisco. During that time I went on a three-week volunteer trip to Bali (booked while I was recovering in bed from the fracture) and met my future husband, Jose. I never stopped creating, traveling and praying: always picking up my camera to photograph the beauties of life ahead of me. I continued to paint like a madwoman. I embarked on many trips to far ends of the earth, and continued going to Mass and becoming involved in the San Francisco faith community. [After three years at Google], I felt an extremely strong calling to leave my full-time job and start my photography and visual art business full time. In that same period, Jose and I got married; he is honestly my strongest advocate! I owe the strength, courage and trust completely to God, and how much he has led me since I fully gave my life to him. My faith 100% played a role in finding my way to my career. As an artist, my goal is to capture life simply, extraordinarily and fully for what it truly is; to create photographs that breathe, that move, and that feel. Along with that, I believe it is my work's mission to find and capture beauty and love in the world, to display it as authentically and wholly as humanly possible. With that, I want to give clients my whole heart in order to capture their fullness and beauty. I make it a huge point to make my clients extremely comfortable to be completely themselves, whether that be adventurous, timid, courageous. I desire to capture them completely full of life. My life story, and God’s massive role in it, is the biggest inspiration for my work: to live life to the extreme fullest, to find the beauty in the everyday, to live with passion and surprise. On top of this, I’m inspired by my travels. I love traveling to remote areas of the world and exploring places never walked on, finding the surprising, hidden elements of the everyday and beauty in places I've never seen before. The love my husband shows me every second of every day really drives me to capture whole-hearted love and the warmth of being enveloped by that love--to demonstrate the love God has for us through the love of our spouses and loved ones. I thrive best--and I believe the Church does, too--when in community. A huge part I love about my job is that I get to grow with families--from when couples get engaged, on through maternity shoots, and finally through family photos. A goal of mine is to one day shoot engagement photos of a baby I photographed many years prior! I believe Spoken Bride helps foster that [sense of community] within the Church and between artists and clients. It's so beautiful. How does your Catholic faith play a role in your business? My faith community really drives my work, and in community I feel the most alive. I want my clients to feel this way when they’re with me, as if we are working in community. I work to be the most open, accepting and loving in my work with my clients, and in turn the most beautiful things happen on shoots. My Catholic faith plays the full role in fostering this sense of loving community, on and off set. Favorite saints and devotions: My favorite saint is St. Mary Magdalene, and a saint that warms my heart is Saint Luke the Evangelist. Two of my most favorite devotions are John Paul II's Letter to Artists, (April 4, 1999) and the prayer of Trust in the Sacred Heart of Jesus. Favorite wedding day memory: Oh man, there are so many! One of my absolute favorites was walking down the long aisle at the Mission Basilica San Juan Capistrano with both my mom and dad on my arms, and seeing my husband's face—we didn't do a first look—as if he saw the most beautiful thing in his life. 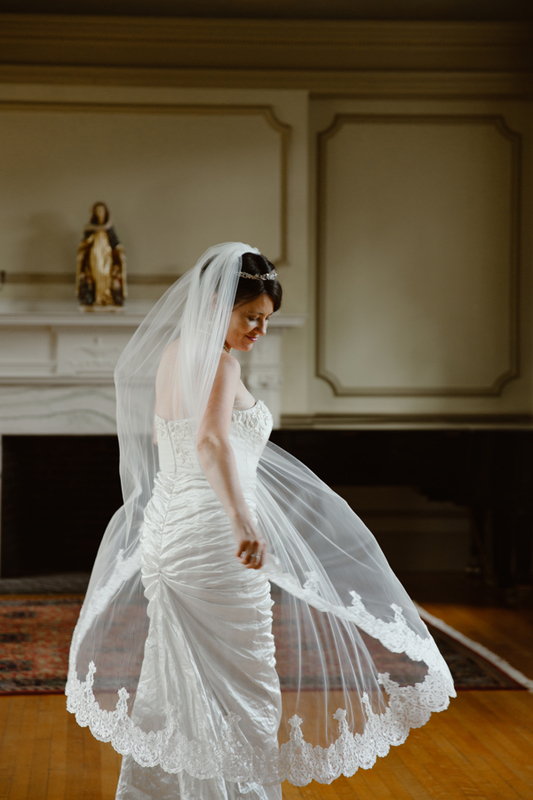 It was the sweetest ever, and I'm so grateful for our photographer, who captured the moment so purely! On my bucket list: Get my master's degree in Art Therapy and Studio Arts, learn a fourth language fluently and learn to play the violin, complete a residency in another country for painting or photography. Favorite place I’ve traveled: We are big travelers over here! My husband and I absolutely loved South Africa, and got so immersed in the people there while working with a nonprofit in the Cape Town townships. Others at the top of my list are Indonesia (the surfing is amazing there! ), Iceland, Japan, and Kauai. Music I love: I'm loving Mumford & Son's new album "Delta", Needtobreathe, Jake Bugg, Pink Floyd, The National, War on Drugs, Leon Bridges, Josh Garrels, St. Lucia, Temper Trap, and so, so many more! These artists are who I'm constantly listening to, regardless of the season. Favorite food: I'm Peruvian-American, so I'm a little biased! I adore Peruvian food. My husband knows I adore a traditional dish called aji de gallina, but it has loads of dairy in it and I'm lactose intolerant. So one day I came home to find him stirring steaming Lactaid on the stove. Apparently he had been stirring the milk for 30 minutes at that point, evaporating the milk so he could make my favorite dish, which I hadn't enjoyed in many years! Coffee or tea? I stopped drinking coffee about seven months ago because it made me anxious, though I treat myself to a pumpkin spiced latte when it gets cold! Instead I make chicory root tea, which is herbal and tastes exactly like black coffee! I can drink it late at night with some warm milk and it won't keep me awake, which is a huge win. Love means...sacrifice, unconditional care, and a full giving of yourself to another. Emily called her friend to discuss the wedding details, committed to trying out a design, and insisted there’d be no hurt feelings if the bride preferred something different. To her surprise, the bride loved Emily’s work so much that she invited her to address her envelopes, as well. The Lord was inviting Emily to examine--and share--her gifts. 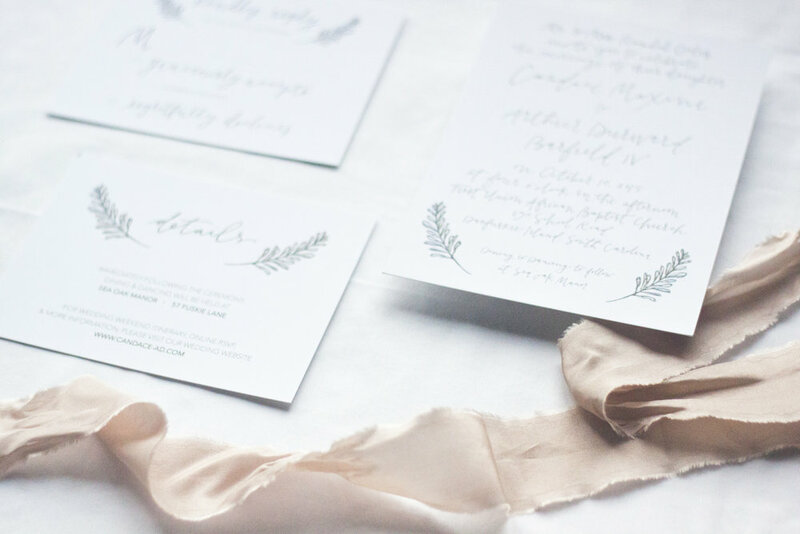 Several years since, that first casual project has become a full-fledged wedding stationery business, Emily Kathryn Designs. Making beautiful use of clean white space, color, flowy script, and special touches like wax seals, her work strikes an elegant balance between modern and timeless. And the significance goes beyond looks: with her deep love for the Catholic Church, itself “ever ancient, ever new,” Emily’s designs likewise merge old and new; family tradition and history with the newness of a couple’s entrance into their vocation. Her love for the faith is evident from the moment you glance at her feed and visit her website, but don’t stop at a short glance or scroll. Emily Kathryn Designs’ Instagram and blog are rich with resources for brides, from uplifting quotes to practical stationery tips, glimpses of her Catholic clients’ weddings, and Emily’s own spiritual reflections. Emily on how her business developed from that first project: I had so much fun designing and lettering my friend’s suite, but it honestly felt like a one-time thing. I knew nothing about weddings or small businesses, or the fact that becoming a custom stationer & calligrapher was even possible. But one after another friends continued reaching out, asking me to design their suites, prints for their homes, or custom stationery cards. Little by little, it went from friends to friends-of-friends and continued to grow. I now haven't had a day in the past three years when I wasn't working on at least one custom wedding suite! All along the way, I would tell people I wondered if the opportunities were "a God thing"--something that I loved to do came out of nowhere and continued growing even when I kept anticipating it would end. The primary inspiration for my brand comes from my grandad’s old saying, “Simple is beautiful.” I always come back to this. Since my faith is central to who I am--and was also a big part of my grandad!--I find that instead of my faith playing a role in my business, it’s my business that’s playing a role in my faith. This creative outlet is a big way I find myself expressing prayer to our Father, often doodling the words he puts on my heart through scripture and hymns. Additionally, I love that my business revolves around a sacrament! Walking with others toward their marriage constantly reminds me of the beauty of the sacrament and centers me on my own marriage, as well. I see now how God has used my gifts to further the Church’s teachings on marriage, sacrament and love. I've started a blog on my site, where I share practical wedding stationery advice alongside my personal growth in marriage, my understandings of Church teachings on family, my experience with NFP, and more. So it seems it has been a "God thing" after all. He's had a plan and a vision for my life that in my own small way, I can strengthen his vision for marriage, spread the Gospel, and further his Church. When a client signs on with me--and even before that when he or she makes an inquiry--they not only meet a stationer with a passion for hand lettering, but a passion for love and marriage. They get a cheerleader who wants to learn about how their love began, how God is working through their relationship, and what they hope to encounter in their marriage. 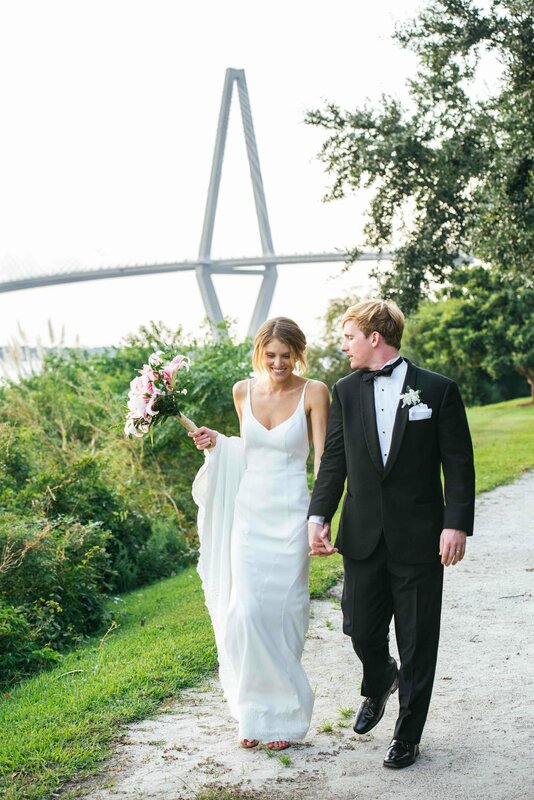 They get a designer who finds joy in the details--the handmade, family heirloom touches, rich traditions that make a wedding day speak from the heart of the couple. I specialize in custom suites and I rejoice in deeply knowing my couples so that I can bring their unique love, and the love God has for them, onto paper! Favorite saints & devotions: Saints Therese of Lisieux, Catherine of Siena and Anthony of Padua have each been important to me at various points in my life, and I love reading about their lives (which are very different from one another!). However, throughout my entire life, my strongest devotion has been to Mary, our Mother. 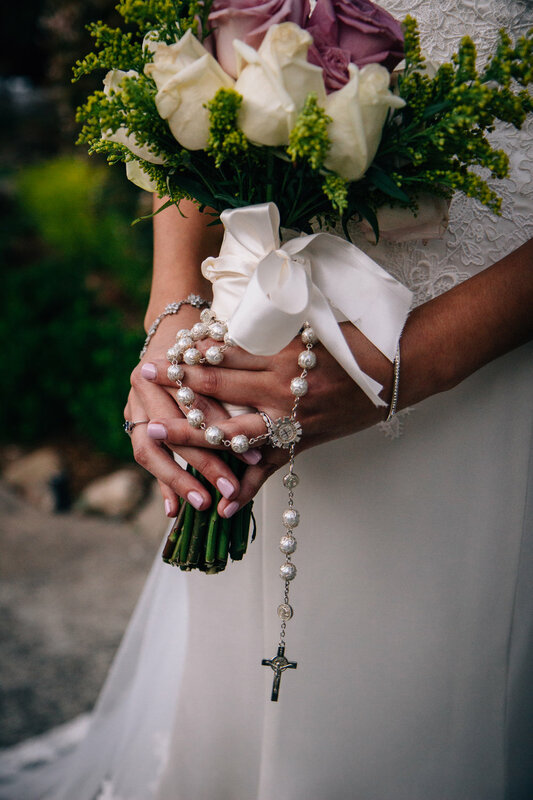 From watching my great-grandmother pray the rosary five times daily, to learning the Memorare from my best friend's mom--now my Confirmation sponsor--growing up, to choosing Mary as my patron saint at Confirmation, I've felt a deep love and connection to her Immaculate Heart. My faith is its strongest when I'm praying with Mary daily; I call on her often for fortitude and compassion. I admire Mary's quiet and steady trust in the Lord, and strive to embody that trait in my own life. Favorite thing about working on weddings: I love working on weddings because I have such a strong devotion to and love for the sacrament of marriage. I have been blessed beyond belief to have grown up surrounded by beautiful examples of marriage in my parents and grandparents, among others. 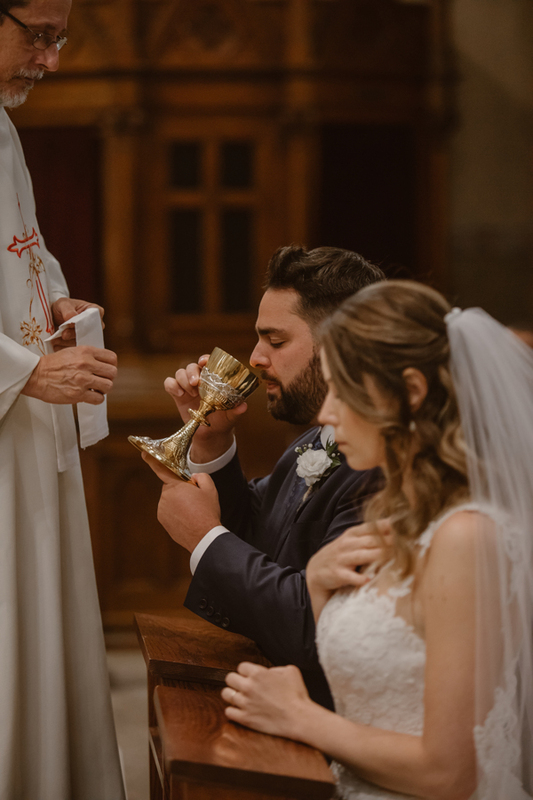 I believe deeply and fiercely in the graces this sacrament pours out, which I have felt tangibly in my life and even more so through the first year of my own marriage. Marriage is the foundation of the family unit, and I feel called to preserve its sanctity because so many pillars of our culture depend on it. 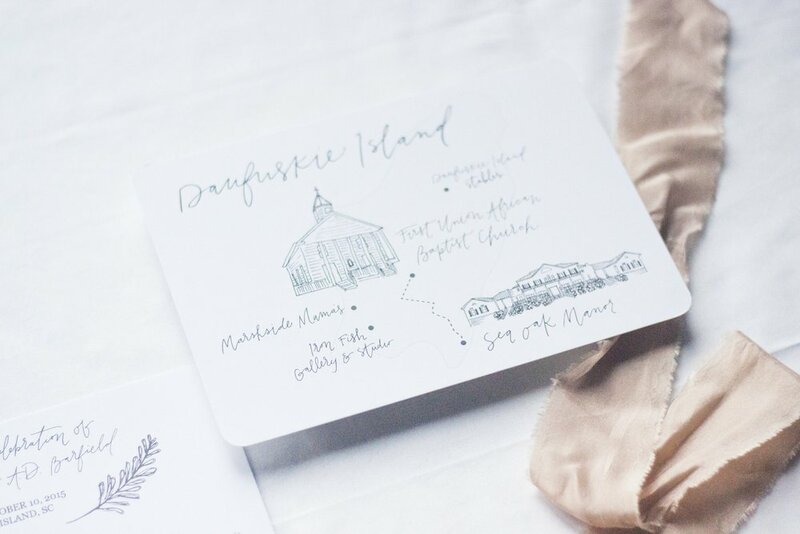 Through my stationery design and calligraphy, I enjoy sharing in other couples' preparation for the sacrament, walking with them and upholding the truth that the wedding day is a rich and meaningful beginning to a calling of selflessness and sacrifice. Best wedding day memory: It feels so hard to pick just one! If I must, I’d say our first dance at the reception. I remember swirling around, seeing the faces of so many people we loved--and also seeing a room full of beautiful surprises! My parents truly “hosted” our wedding in every sense of the word, so there were tons of special touches around the room that we hadn’t known to expect. Each of these were sweet nods to my husband and myself, our relationship, our families and our heritage. It made us feel so special and our wedding day so personal! Favorite place I’ve traveled: Rome! I first went in third grade and again in college, when I studied art and architecture in Greece and Italy. After spending two weeks in Rome, I made a special trip back to Vatican City to say goodbye before leaving. Attending the Papal Mass at Pentecost, praying the rosary with our brothers & sisters in all different languages, and visiting the bones of St. Peter in the catacombs beneath the basilica were some top life moments for me! Fave foods: Broccoli, my mom’s York Brownies, and homemade birthday cake. I take my coffee...Black, all. The. Way. Almond milk cappuccino if I’m feeling fancy. Love means...sacrifice. Laying down your life for the good of another. 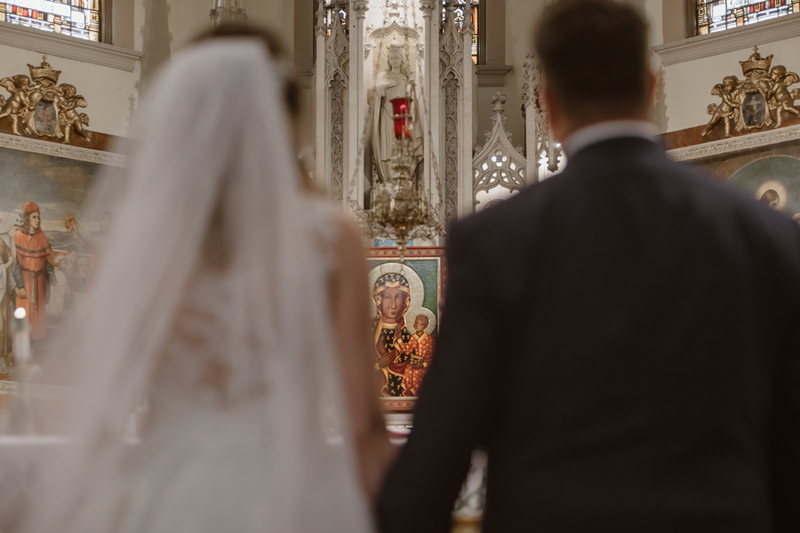 When the vocation to life-giving love within marriage answers a deep need and question in the world--specifically, the question of how couples are called to understand the beautiful mystery of their embodiment and creation--amazing fruits result. The seed of Liz’s passion for NFP and fertility awareness was planted. 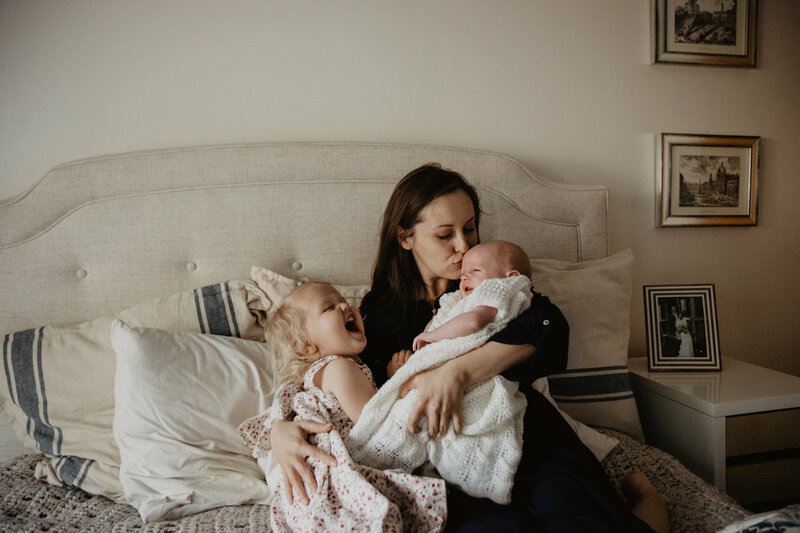 It continued to flourish during the first year of her marriage as she pursued a certification as a Creighton FertilityCare practitioner. 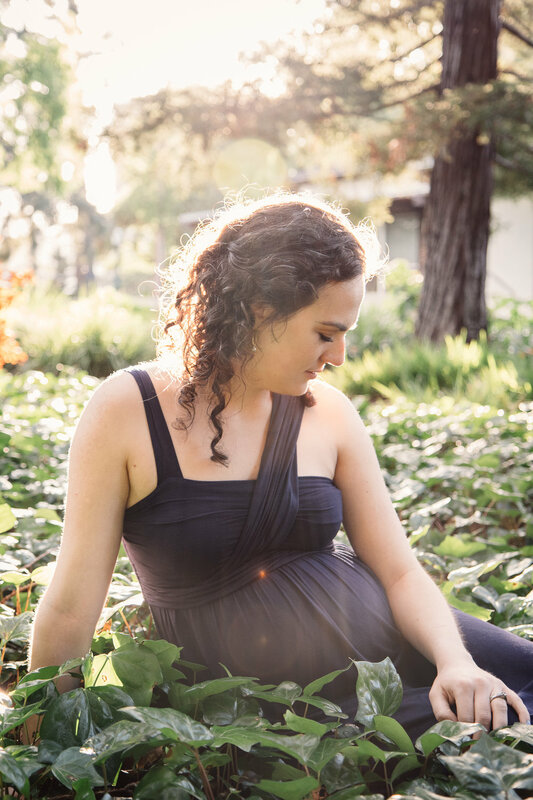 A believer in continual professional development and the wholeness of the human person, she has since additionally earned a Masters degree in Theology and become a childbirth educator. As Liz’s own family has grown to include three children, her fertility care services have become her primary work. Her business, Indy FertilityCare, offers both in-person and virtual courses in the Creighton Model, email and phone support, and speaking engagements related to women’s health, Catholic marriage, and the Theology of the Body. For anyone to whom NFP might seem dry, dubious, or awkward, Liz takes pride in “making the process of learning Natural Family Planning engaging, interactive, and thorough.” She loves witnessing couples become a team in their efforts to begin charting their fertility, and walks alongside them every step of the way, offering resources to connect clients with holistic medical providers in their area, support for long-term reproductive health, and teaching courses in childbirth preparation and postpartum NFP. Watch Liz's interview with Song On Fire, on sexual intimacy in marriage, here. What is your favorite thing about working on weddings? The opportunity to see the raw, maturing love between bride and groom in the weeks and months leading up to their wedding and be inspired by the gift of self they are choosing to make to one another. I take my coffee: strong, with flax or almond milk. Favorite place I've traveled: Tanzania. I had the chance to go with my grandparents and loved getting to see familiar zoo animals, but in their natural environment. Ministries and projects I’m involved in: PreCana marriage prep retreats, vocation awareness in my parish, and classes at my local crisis pregnancy center. Best wedding day memory: our first dance, which my husband and I choreographed ourselves! On my bucket list: Own a condo in Miami with my husband and fly there on the weekends. Love means...to sacrifice and give until it hurts. Sometimes, within your vocation, another call can arise and bear fruit. One bride’s wedding planning experience brought a uniquely personal and practical new dimension to her business. The inserts were a hit. Numerous guests suggested Emily create similar text and inserts for other couples, and there began Gloriam’s wedding services. 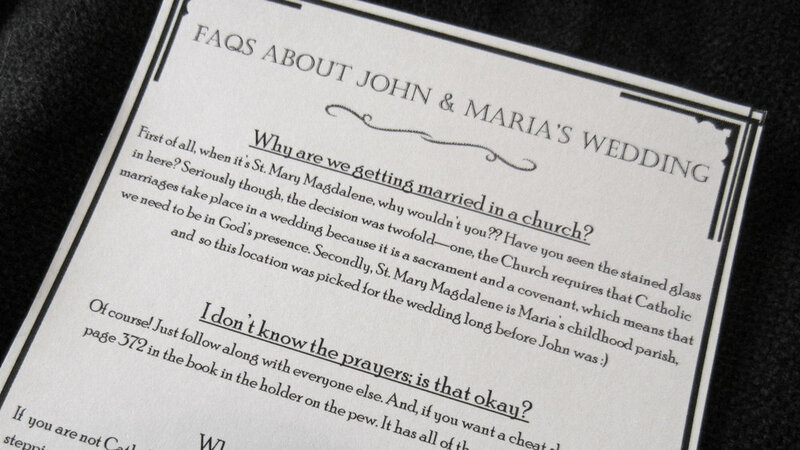 The company offers design and printing for Catholic wedding programs, as well as custom inserts detailing the Mass and ceremony, for both local and remote couples, each infused with Emily’s attention to clients’ individual aesthetic and needs. From Emily: What's unique about Gloriam is that unlike other designers and printers, I have a background in the Catholic faith, so I can work one-on-one with a client to make sure the information being presented is both beautifully designed and true to our faith. I am currently pursuing my Master's degree in theology, so I come at the creative process with the ability to work from both a design and theological standpoint with each client. 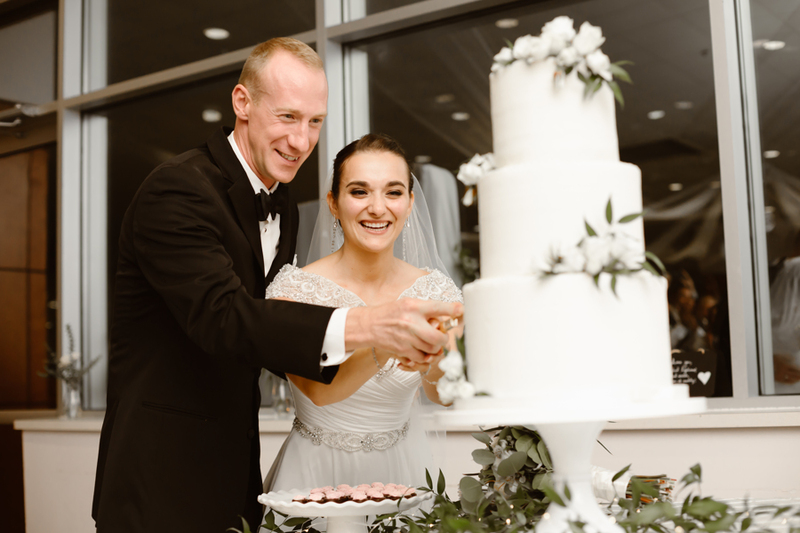 Clients don't have to worry about coming up with content on their own; I work with each and every bride or groom on wording (I also have a degree in English, with a concentration in writing), language, and ensuring everything is theologically sound. A major advantage of this work is that it can be done completely via email or Skype. Clients do not have to be from my area or even from the United States, which results in one less thing for couples to worry about during an already hectic time packed with other vendor meetings. I look at each project I take on as an opportunity from God to give him glory. 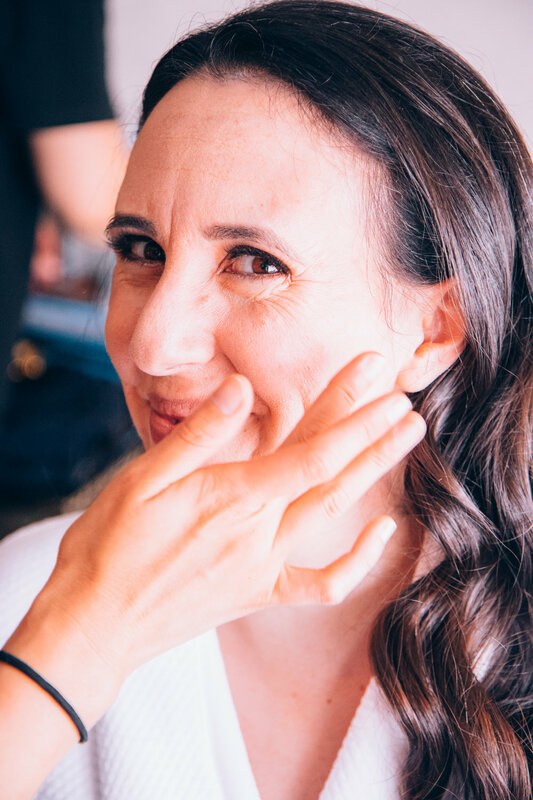 As a recent bride myself, I recognize the stress each bride and groom are under to make their wedding day perfect, and appreciate helping make their day memorable with attention to details. As a society, I hope to see more couples witness to what a God-given marriage looks like. I like to think through my work, I am helping them in that witness. Favorite saint: Saint Marie of the Incarnation. She’s my confirmation saint! What is your favorite thing about working on weddings? Working on a wedding program gets me all nostalgic about my own wedding. And I love being a small part of the evangelization my couples will bring through their marriages! Favorite place I’ve traveled: Mystic, Connecticut. I used to go there for retreats with my family each year on Enders Island. Gorgeous. On my bucket list: Trying out for The Voice. My favorite wedding-day memory: My father-in-law, who is extremely quiet and shy, grabbing my hand and taking me out on the dance floor at our reception. It should probably be something about my husband, but that is the first thing that pops into my mind because it was so unexpected. Romantically, my favorite moment was leaning over during the Mass and whispering to Aaron, "We're married!" Love means…Sacrifice. Sacrifice until it no longer feels like sacrifice.